The House Judiciary Committee on Thursday approved House Bill 4770, which among other things, attempts to define what a journalist is to restrict access to motor vehicle accident reports for a period of 30 days after the accident. “Government cannot license who speaks,” said attorney and MLive columnist Matt Davis. “When government licenses who is in the news media by saying, ‘This group of 50,' or whatever the number, comprises the news media, government is deciding who gets to speak, and it cannot do that. House Bill 4770 is sponsored by Rep. Ellen Cogen Lipton, D-Huntington Woods. The chair of the House Judiciary Committee is Rep. Kevin Cotter, R-Mt. Pleasant. The bill considers a journalist to be "an employee of a radio or television station licensed by the Federal Communications Commission" or "an employee of a newspaper." A "newspaper" is said to include, "a newspaper of general circulation that is published at least once a week, include stories of general interest to the public, is used primarily for the dissemination of news, and may be published in hard copy form or on the Internet." At the beginning of Thursday’s committee hearing, the version of House Bill 4770 before the committee included language that seemed to deny online news sources, such as Michigan Capitol Confidential, access to the accident reports. In committee, the measure was amended to add wording that includes online news sources among the entities that would have access to the reports. But, even after this change, the issue of setting precedent for government to have the authority to decide who is or isn’t a journalist or what is or isn’t the news media seems unresolved. Patrick Wright, senior legal analyst with Mackinac Center for Public Policy suggested the legislators revisit their overall approach. “I’m not sure that the 30-day period is a good idea,” Wright said. “But that said, if they are really trying to prevent trial lawyers from harassing accident victims, why don’t they just require those who want the reports within 30 days to sign a statement that says they will not use the report for commercial advantage? That would seem to make more sense than for the lawmakers to go on a fool’s errand of trying to define what is or isn’t the news media or who is or isn’t a journalist." Lisa McGraw, public affairs manager with the Michigan Press Association, said the group is working with the lawmakers to try to resolve the problems with the language in the bill. One section of the bill defines what is considered a news publication, which would be allowed to get access to the reports within 30 days. Another section defines what would not be considered a news publication, and could not have access. 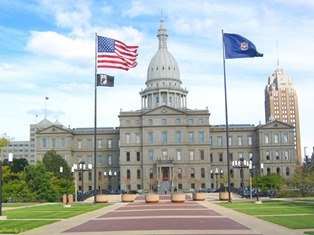 Jane Briggs Bunting, president of the Michigan Coalition for Open Government, said she worries about the long-term implications if the current bill were enacted. House Bill 4770 was approved in committee on a 10-0-1 vote. The lawmakers who voted “yes” were Reps.: Cotter; Cogen Lipton; Kurt Heise, R- Plymouth; Bradford Jacobsen, R-Oxford; Joel Johnson, R- Clare; Klint Kesto, R-Commerce Twp. ; Andrea LaFontaine, R- Richmond; Tom Leonard, R- Lansing; Phil Cavanagh, D- Redford Twp. ; and Paul Clemente, D-Lincoln Park. Rep Jeff Irwin, D-Ann Arbor abstained.